Famous Dex is a phenomenal hip-hop artist famed for bringing class and sweet vibes to every project he has completed in the music industry. Unlike most aggressive rappers, his music is one of positivity and its background revolves around pain and struggle as well as the death of his mother. Dex is not only a rapper but also a songwriter who is well-versed in SoundCloud rap and trap (a type of hip-hop peculiar to Southern U.S) too. So far, he has released one studio album, eight terrific mixtapes, and about six singles, one of which featured ASAP Rocky (born Rakim Mayers), a prominent rapper/actor/record producer and a member of hip hop group, A$AP Mob. Ever since the rapper got connected to the spotlight, his name has continued to rise – thanks to his quest for greatness and musical collaborations with several notable artists. The name “Famous Dex” began ringing a bell in the music industry after the rapper launched his career and subsequently rose to prominence. But before then, he was known to many people as Dexter Gore Jr., which the name his parents gave him at birth. Dex is the son of Dexter Gore, Sr., a US Army Lieutenant who died in 1997 and Pamela Winters, a chef and IHOP waitress who died in September 2014. The rapper was born on the 6th of September 1993, in Chicago, Illinois, U.S. He is an American belonging to the African-American ancestry. Famous was raised along with his siblings in South Side, Chicago by his parents. Sadly, he lost his mother to breast cancer in 2014, 17 years after the death of his dad. The SoundCloud rapper was educated at Paul Robeson High School, which is also the same school American rapper Lil Durk attended. Before stardom, Famous Dex was a hype dancer/performer. He used to feature in his friend’s music videos and was known as Black Migo Dex. He was also a street hustler and drug dealer. However, all that changed after the death of his mother; devastated by the loss, the rapper decided to get out of the streets and carve a niche for himself in the music industry. His hard work started paying off in late 2015 after he released his first two mixtapes – Never Seen It Coming and Dexter’s Laboratory, followed by two singles. In 2016, Dex went ahead to release his third, fourth, fifth, and sixth mixtapes, which successfully birthed some of his biggest mixtapes collaborations with other artists. The rapper holds the record as the first signee of the Rich Forever Music label, which is owned by Rich The Kid. He joined the music brand in March 2016, just a few weeks after both rappers collaborated on the song Hell Yeah. 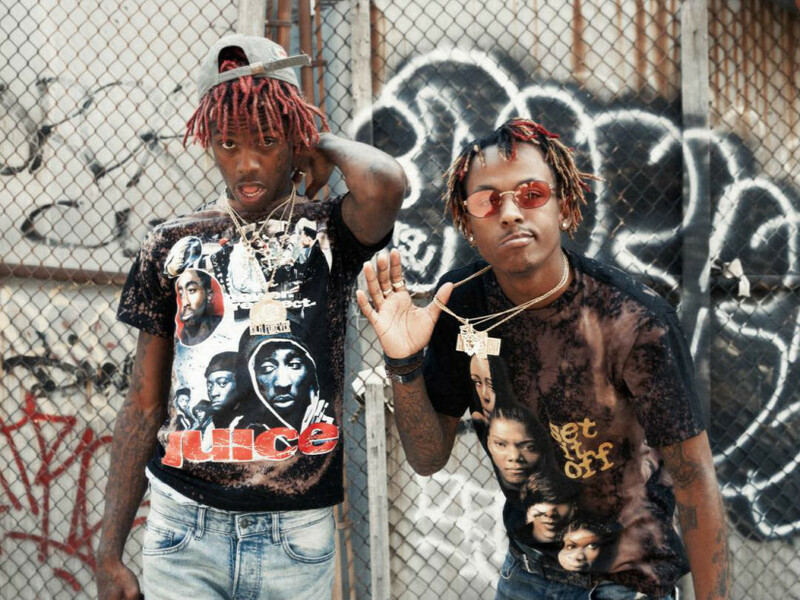 Apart from Rich The Kid, Dice SoHo, Quavo, Ugly God, and Playboi Carti, Famous Dex has severally collaborated with Mableton, Georgia-born singer/songwriter Lil Yachty (born Miles Parks McCollum). In recent times, he has been referring to himself as “Dexter The Robot,” which surprisingly became the title of a mixtape he released in September 2016. Famous Dex boasts an impressive net worth despite being a late bloomer. Going by the number of projects he has completed in these few years, there is no doubt he will replace many rappers in the nearest future. As of 2018, he has amassed a net worth of $2 million. At the time of writing this report, his monthly/annual earnings are missing on the map. Dex is reportedly dating a young woman simply known as Baby Mamma. The pair recently got back together after parting ways sometime in 2016 after the rapper was caught on camera hitting her in a hallway in her apartment. The video was captured and shared by songwriter Tish Hyman. The incident, which impacted Famous’s reputation, earned him criticism and also caused Puma to severe an endorsement deal they had with him. He later apologized and pointed out that Mamma cheated on him. Though rumor had it that the rapper spent a short time in jail after the video went viral, he is yet to comment about his violent behavior in front of the camera. He shares three children with his girlfriend – two daughters and a boy born in 2017. Famous Dex is 5 feet 11 inches tall (1.8 meters) and weighs 72 kilograms. Dex sports a modified body that features a breast cancer awareness ribbon tattoo on his cheek and another one on his neck (in honour of his mother’s death).